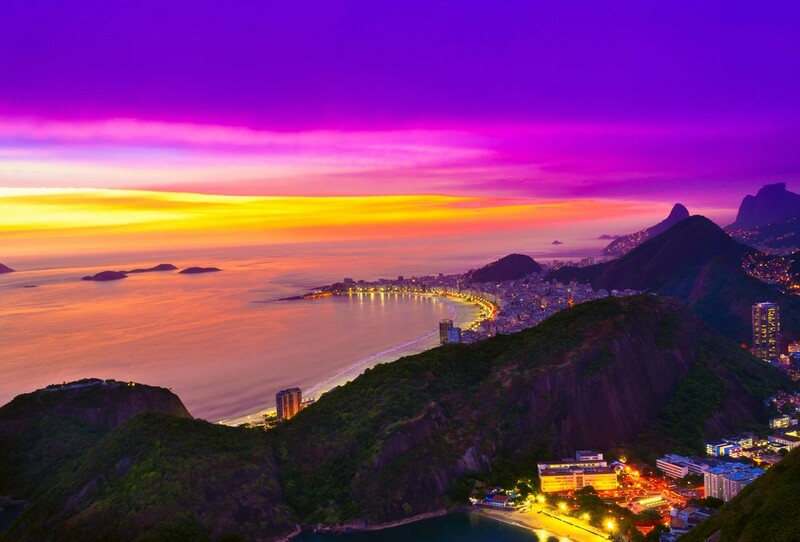 Rio de Janeiro is the buzzing topic especially as the host of the 31st Olympic Games. This seaside city holds a great deal of Brazil’s uniqueness in it. That’s why many tourists consider it their top destination throughout the year. But exactly what to do in Rio de Janeiro and where to go is a mystery to many. You’ll find out that the city is way more than the beaches surrounding it. 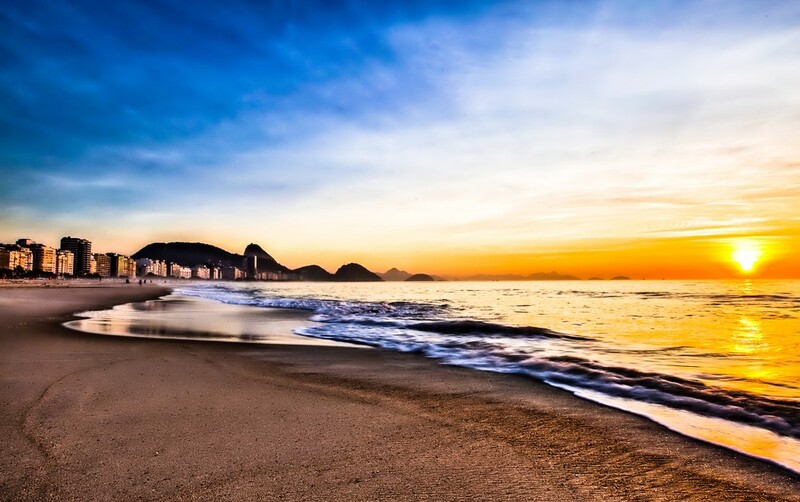 It’s unmistakable that you can’t pass through Rio without paying a visit to the marvelous beaches. That’s what everyone does first when coming here. Relax all day under the parasols or sunbathe until you have your desired chocolate skin. The blue waters, which can become wild at times, is the perfect refuge for adventurers. You can either swim, snorkel and explore the underwater life and surf on the huge waves as much as your body can handle. 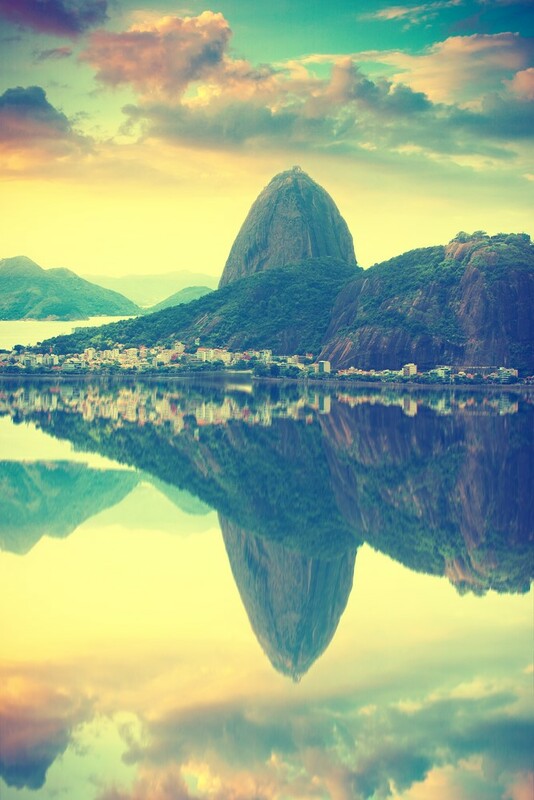 Aside from that, Rio de Janeiro breathes in the rhythm of the exotic music. Follow the tunes and party in the numerous clubs or visit the local neighborhoods and blend in their way of life. You’ll see the best street performers, climb colorful steps and understand how people live in crowded houses, lined one next to the other. 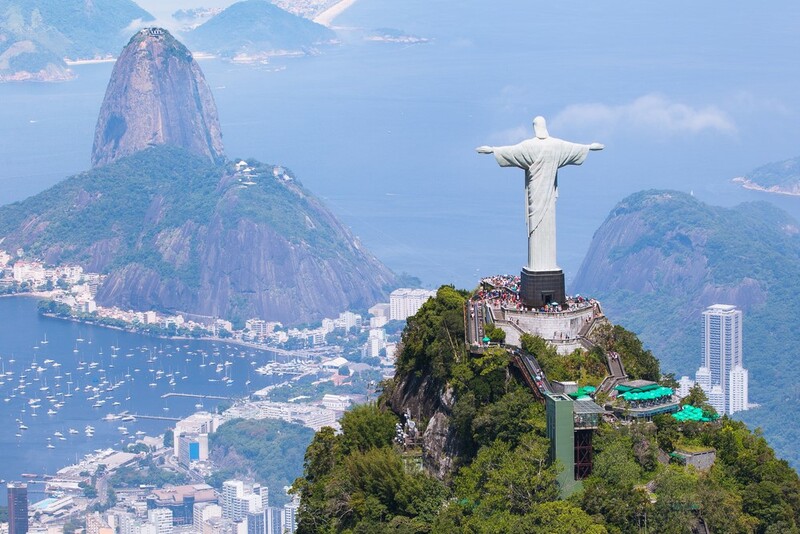 Your sightseeing will not be complete without the Sugarloaf mountain and the statue of Christ guarding the city. Another thing keeping Rio going is the exciting football euphoria. All over the city, there are spots where teams collide and fight to score the most goals in the game. Find one yourself and start cheering. Understandably, the statue of Christ the Redeemer is one of the most famous landmarks Rio de Janeiro has to offer. But it’s not the only one. The enormous Maracana stadium is also a must for all football fans. 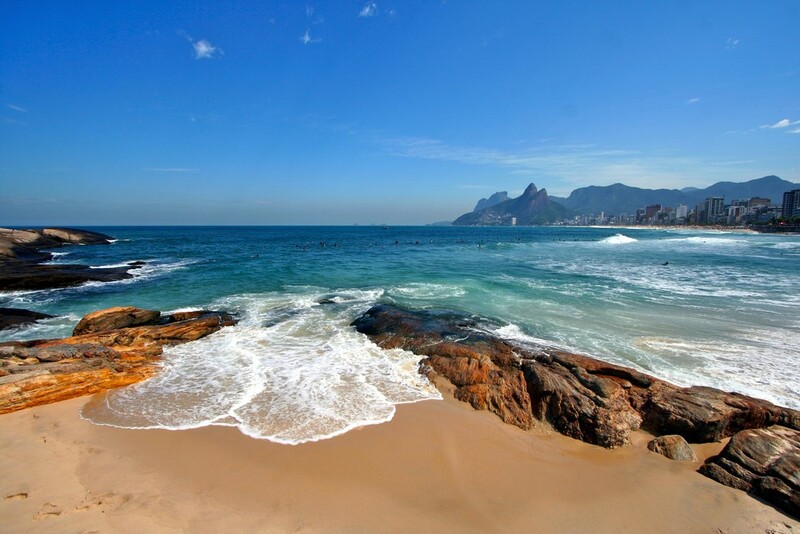 Then there are the fabulous beaches Copacabana and Ipanema, which will stun you with their vastness and soft sand. They’re truly natural attractions by themselves. 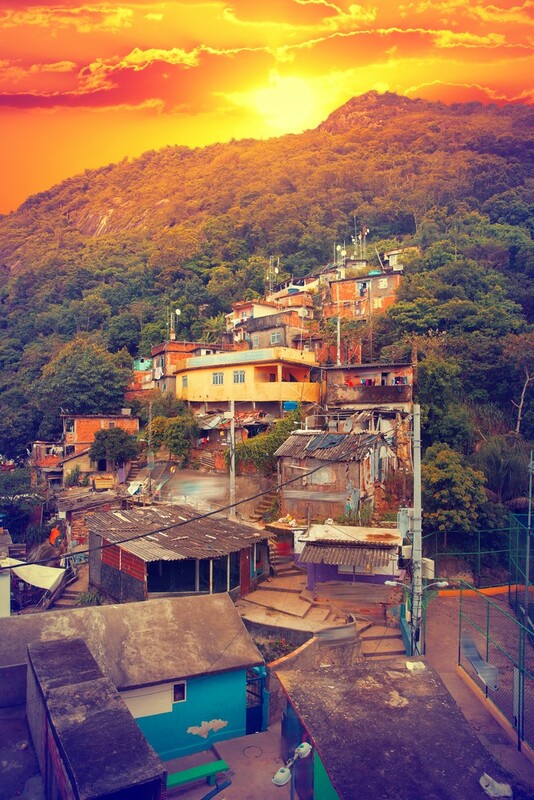 Rio will surprise you with its cute houses, the impeccable South American architecture, and narrow streets. They connect small neighborhoods such as Lapa and Santa Teresa to the concrete jungle that the center is. 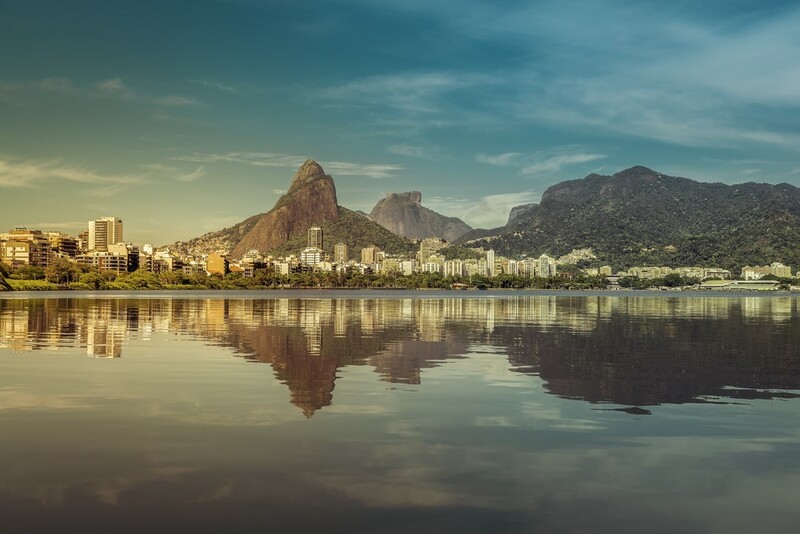 Speaking of that, Rio’s downtown is a place where you can find everything – from theaters and museums to shopping centers, cafes, and restaurants with delicious food. All in all, this city is the jewel of Brazil and the whole of South America. It celebrates diversity through its various attractions and activities you can take part in. 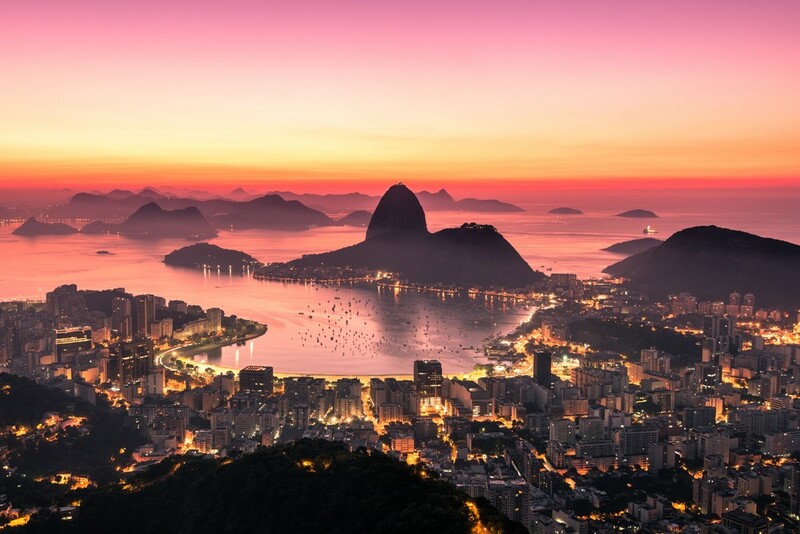 Now we’ll look into the top unmissable activities and attractions that will give answers to the question “What to do in Rio de Janeiro?” These make Rio the city we all know and love. 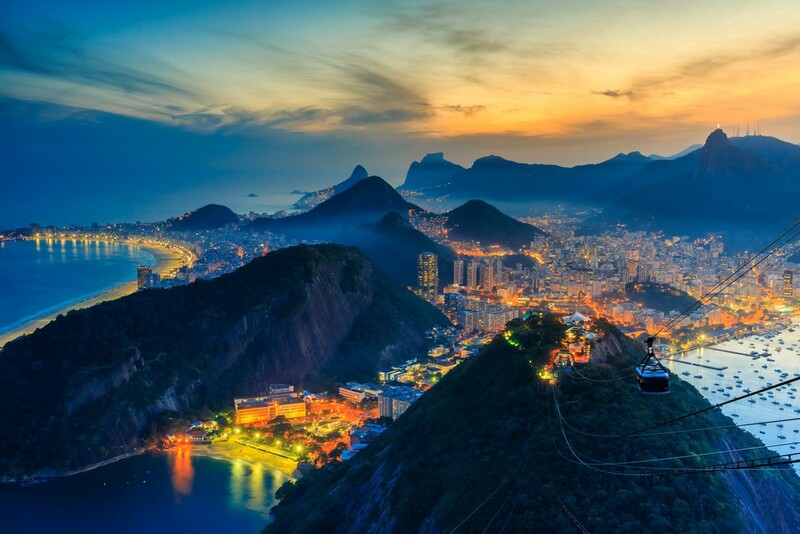 Tour Rio with a helicopter – There’s not a better way to get an overview of the city than an exclusive tour with a helicopter. You’re picked up from your hotel and quickly briefed about your security. Also, you’ll be given all the special equipment you need for the ride. As you’re taken in the air, you’ll be amazed by the greatness of it all. The experienced pilot takes the helicopter all across Rio, giving you a chance to take a picture of everything. You’ll definitely return to the hotel with a low memory in your camera from the photo-ops. Watch a match at the Maracana Stadium – Football (or soccer) is a religion in Brazil. Everyone plays it and everyone loves it. 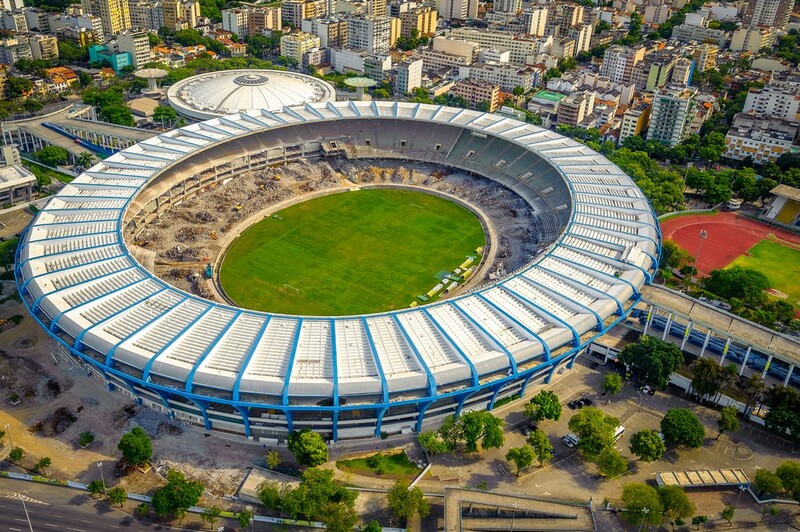 The proof of that is the Maracana Stadium – the world’s most popular football stadium. It’s official name actually is Estadio Jornalista Mario Filho, but the famous name comes from the neighborhood it is located in. Built in 1950, it still is a grandiose venue that attracts sports fans from all over the world. Recently, it has been partially rebuilt for the 2014 World Cup. Its capacity is 80,000 spectators, making it the largest stadium in South America. Play football on the Copacabana Beach – For those wondering what to do in Rio de Janeiro a day on the Copacabana beach will solve the problem. The beach has an active vibe with locals and tourists that swim, play football or volleyball or just sunbathe. The possibilities are endless. Its length reaches 4 kilometers and it was built originally in 1930. When you add the crashing, wild waves and the mountain Sugarloaf in the background, you’ll get the perfect sight for your eyes. What is more, the Copacabana has a lot of lined up vendors . There you can shop for souvenirs as well as relax in beach bars and even buy freshly-caught fish. 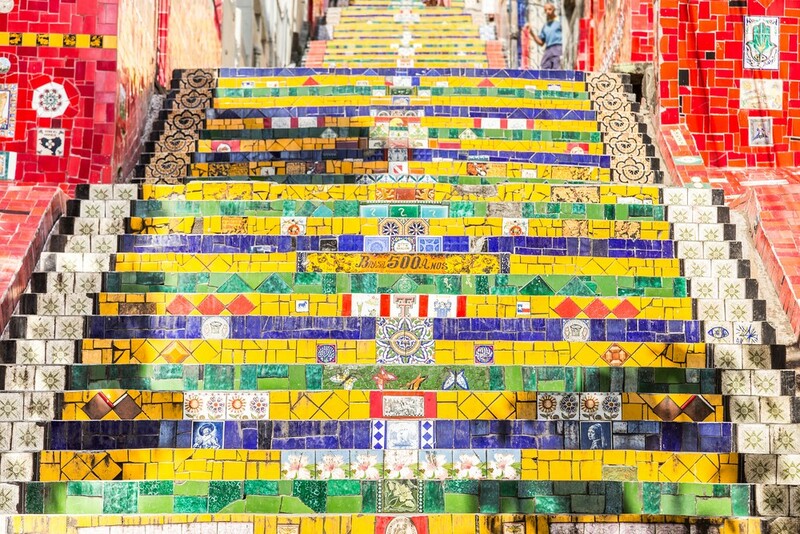 Climb the colorful Lapa Stairs (Escadaria Selaron) – The Lapa Stairs are the unique attraction of Rio that may serve as a wonderful background for your pictures. It was made by the artist Jorge Selaron from Chile who wanted to produce a tribute to the Brazilian people in the last decades of his life. He sure succeeded. They’re a long stairwell connecting the neighborhoods Lapa and Santa Teresa. It’s made from tiles from all over the world combined with artworks by Selaron himself. The Lapa Stairs have also been shown in music videos of global superstar singers and groups. 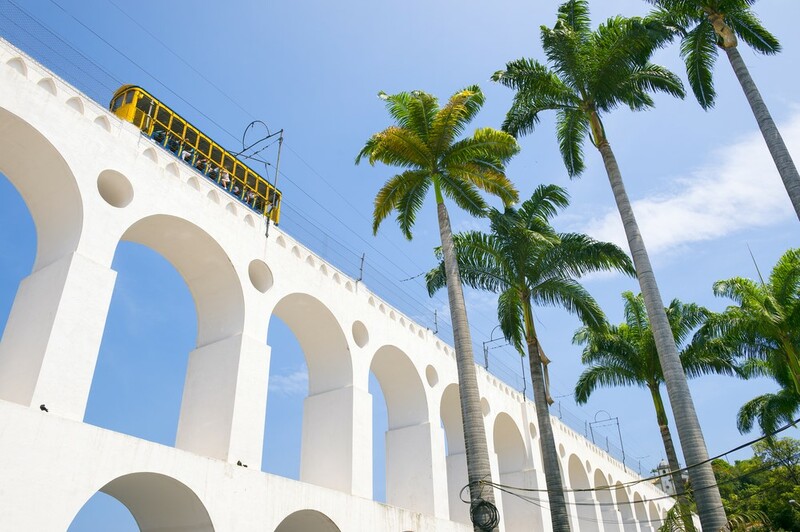 Witness the historic Arcos da Lapa – The Lapa neighborhood in Rio’s center is the home of another landmark on the list of what to do in Rio de Janeiro. These historic arches are the true nightlife spirit of the city. At night, especially Friday nights, the Arcos da Lapa is the place where the party begins. The spots around the arches are all surrounded by stalls where you can buy the tastiest treats, try lovely and strong cocktails and other kinds of food and drinks. Moreover, all the trendiest clubs and bars are situated around these monumental white arches. There you’ll hear all the best hip-hop, samba, and favela funk beats. This is absolutely the perfect spot to start your night out. Visit Lagoa Neighborhood – The Lagoa Neighborhood is where all the glamor, luxury, glitz and glam blend together. What’s interesting is that it encircles the lagoon Lagoa Rodrigo de Freitas. It’s a very popular sport for cyclists and joggers because around the lagoon there is a wonderful path of 4 miles. On the shore, however, all the outdoor cafes and restaurants will give you a stunning view of the waters and beaches. 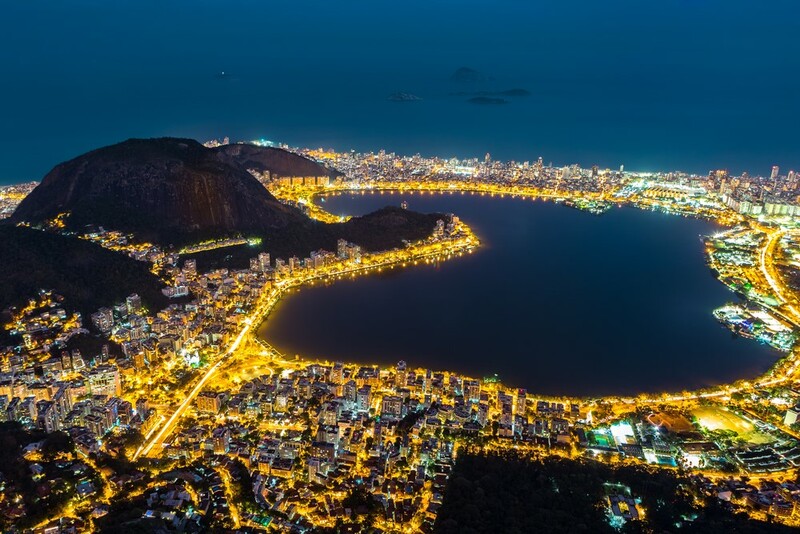 Besides being the most exclusive place for living in the district Zona Sul, Lagoa is the third wealthiest neighborhood in the whole of South America. 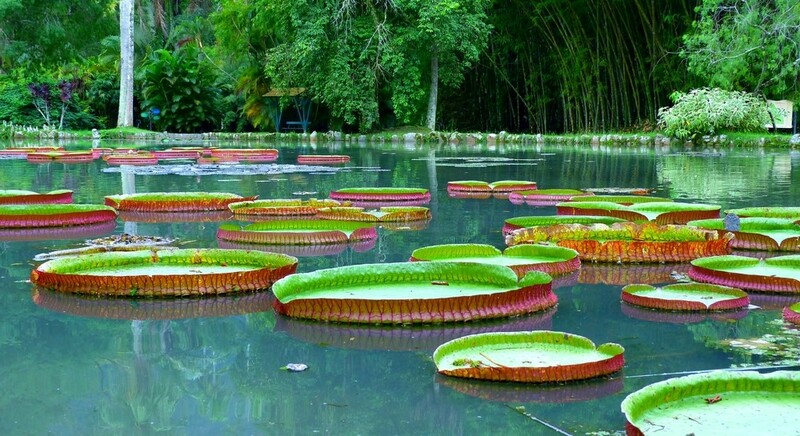 Take a walk in the Botanical Garden – What to do in Rio de Janeiro has never been easier when you add the Botanical Garden (Jardim Botanico) into the mix. A paradise for every lover of flora and fauna, the Botanical Garden was established by King John VI of Portugal in 1808. And until this day, it has wowed everyone who stepped among the greenery. Considering the tropical climate ruling over this country, this garden offers 6,500 different species of plants. There’re many species of butterflies and even monkeys as well. However, this 55-acre garden isn’t just made for celebrating the vegetation. If you need a place where you can hide from the humid, hot air of Rio, you can always find shelter in the cool gardens. You can relax with a cup of coffee, a glass of wine, a salad or a sandwich. Due to the Garden’s vastness, it’s advisable to go there in the morning to spend the entire day there. Attend a Brazilian cooking class – Find out what makes the gourmands from all over the planet come to Rio. The marvelous, delicious food, of course. Thanks to the Brazilian cooking class, you can learn how to prepare and serve one yourself. Furthermore, the cooking lessons are taught by world-class master chefs who are the best in the business. You get to taste the most beloved and native Brazilian meals like Moqueca or Feijoada. Also, you get an exclusive insight into the unique ingredients and tips on how to serve what you prepared. While cooking, you can enjoy sipping cocktails as well as try what you have cooked in the end. Yummy, indeed! Get to Sugarloaf Mountain with a car cable – Sugarloaf Mountain is one of the first when you think of what to do in Rio de Janeiro. In Portuguese, it’s called Pao de Acucar and the name says it all. It’s the star of Rio and it’s practically a must-visit attraction. To get there, you climb a car cable, which is a fascinating thing by itself. You hear so much about this mountain that you may think that you’re prepared when you actually arrive onto the top. You’re definitely not. Sugarloaf rises up from the waters of the Atlantic Ocean and the white beaches. The view you’ll experience from there is a different matter altogether. You feel as if you hold the whole Rio into your palm. And that sight will leave you breathless and with a dropped jaw. See the statue of Christ the Redeemer – The statue of ‘Christo Redentor’ is the absolute king of the attractions on the what to do in Rio de Janeiro list. You simply can’t leave the city without getting to it. Standing atop the Corcovado Peak, the concrete and soapstone statue of Christ is one of the Seven Modern Wonders of the World. It’s height reaches 30 meters while the outstretched arms are 28 meters long. Weighing 635 metric tons, the statue of Christ the Redeemer overlooks the whole city. You’ll get a spectacular view of it all from just its feet. Luckily, you don’t have to climb all those steps to get to the peak. Many tours offer a train ride to the base of the mountain and then several elevators can take you up. Once you reach your destination, you’ll sense peace and tranquility. That is why many baptisms and weddings are held in the chapel. Sunbathe on the Ipanema Beach – This patch of sand is certainly fancier than its brother Copacabana. You won’t find tall hotels framing the scene here, but the awesome summits of the Dois Irmanos mountains. 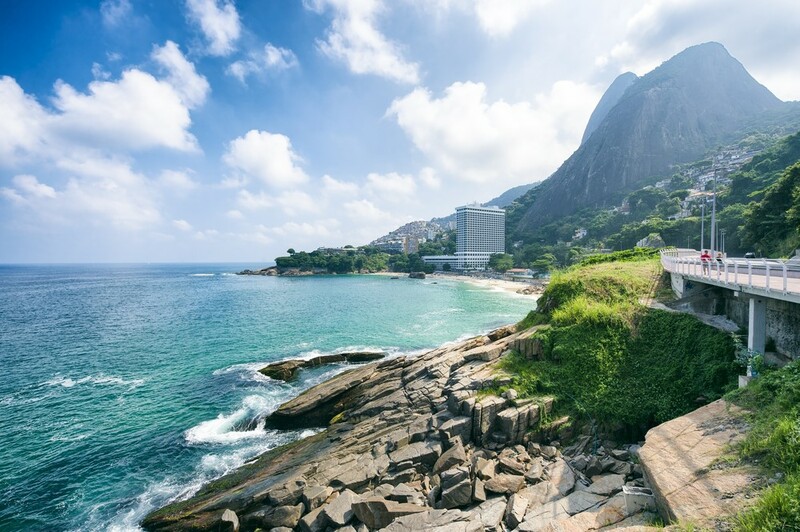 Whether you decide to swim for a few hours, tan until you get your desired skin color or just watch gorgeous people taking a walk, you’ll definitely feel the spirit of Rio. But the beach in the famous song ‘The Girl from Ipanema’ from the ’60s offers so much more. The white sands are home to many cafes, clubs, theaters as well as shops and even art galleries, circling them. What’s interesting is that Ipanema is informally separated into sections. And each section is made for something specific. For instance, several are family-oriented, others are for free-wheeling artists and so on. Bike across the city – Another amazing activity is biking across Rio. This way you’ll get to know the core of the vibrant city. You’ll experience the rich, diverse culture, the crowded streets as well as see the most sensational tourist spots. The biking tours in Rio can take you on an excursion through the whole city, the beaches and the lagoon, the urban and panoramic parts. Moreover, one of the most astonishing parts of Rio is the city’s south coast known as Zona Sul. São Bento Monastery – a baroque building that has a great historic and artistic values where masses are still held. Municipal Theater – Opened in 1909, it’s the pride of the whole city. You can enjoy a wonderful opera, concert or ballet. Besides that, you’ll see displayed works from many famous artists. Sambadrome – the place where the Rio’s Carnival hosts the Samba Parade. 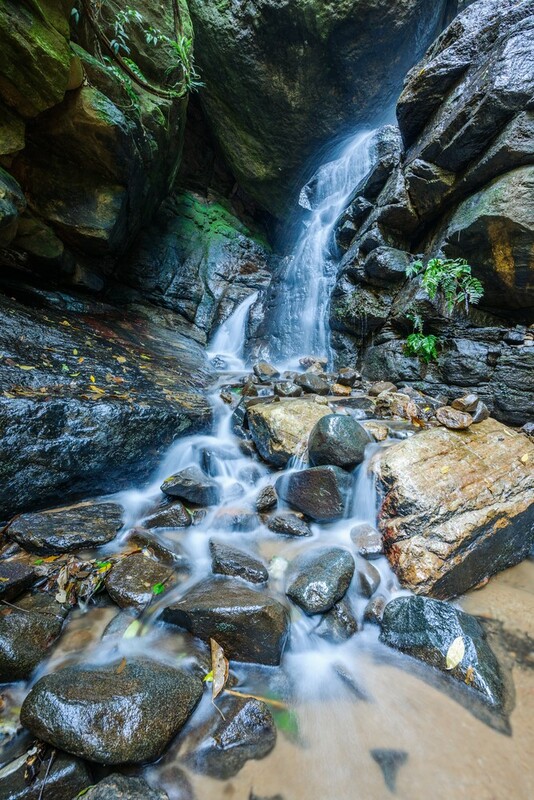 Admire the beauty of the Tijuca National Park – The Tijuca National Park is one of the biggest pieces of urban jungle in the whole world. Besides accommodating the Corcovado mountain and its statue of Christ the Redeemer, this national park protects the Tijuca forest and many viewpoints of the city like the Guanabara Bay. It’s best for pursuing outdoor activities such as hiking to Rio’s tallest peak – Pico da Tijuca, trekking, sightseeing and many others. Because of its vastness, it is very easy to get lost, so you shouldn’t go there without a professional guide. What’s more, tourists can freshen up by waterfalls and natural pools. You can even take a look of the stunning Mayrink Chapel. Join the carnival – Rio’s Carnival remains a synonym for this wonderful tropical city. Everyone from all over the planet has heard about the Rio Carnival as the biggest, most popular event of the kind. That resulted in more than 500,000 tourists annually who flock the city, especially for this occasion. The Carnival is a wild celebration that lasts 5 days and takes place 40 days before Easter, in February. February is also the hottest month in the Southern Hemisphere and Rio’s summer is in its climax. The event brings the best type of entertainment to the Brazilian people and it’s something they look forward to all year long. People sing, dance, have the best time of their life, dress up in costumes and generally have fun. Having said that, Rio’s Carnival is held all over Rio. From clubs, bars, and other venues to streets and squares, the whole city lives and breathes in the same rhythm. Furthermore, the peak of the carnival is reached with the Rio Carnival Parade. There’s plenty of what to do in Rio de Janeiro, but few can beat the excitement of the Carnival. 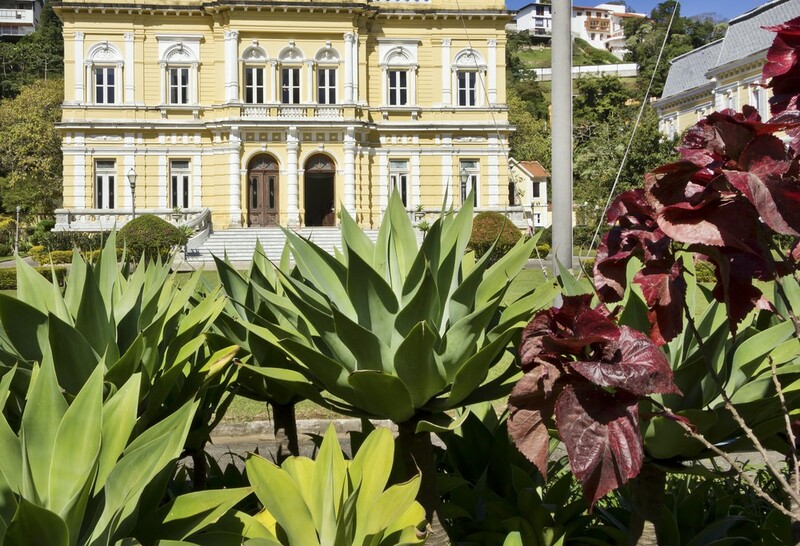 Bonus: Check out the Imperial City, Petrópolis – Lying just 68 kilometers outside of Rio, Petrópolis is a city unlike any other. Located among hills and a valley, it’s known as the Imperial City. That’s because King Pedro II of Brazil chose it as his summer home. With that decision, the city became an upper-class resort and a center of magnificent palaces that represent a true accomplishment of South American architecture. The climate is pleasant throughout the year, attracting visitors from all over the world. Now the King’s Summer Palace is turned into the Imperial Museum. There you can admire amazing artifacts dating back when Brazil was an empire. Besides that, you can travel to Petrópolis to see the Crystal Palace, Saint Peter of Alcantara Cathedral and other mesmerizing buildings, and parks.